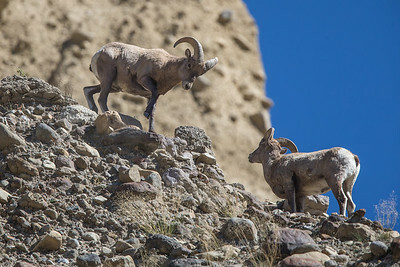 Herd of bighorn sheep in steep terrain north of Mammoth Hot Springs village of Yellowstone National Park. 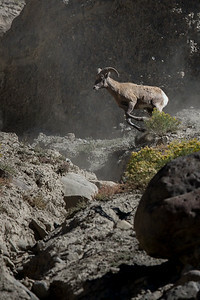 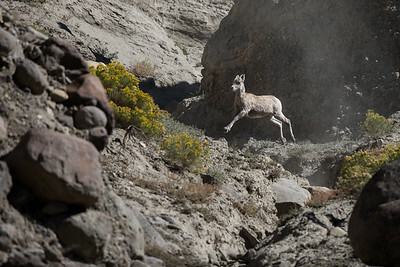 Bighorn ram mid-air while leaping ravine. 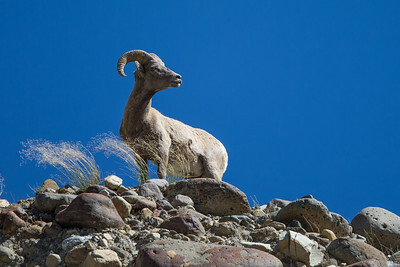 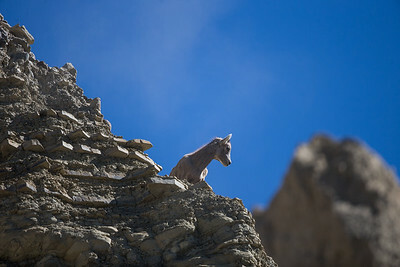 Bighorn lamb watching from heights. 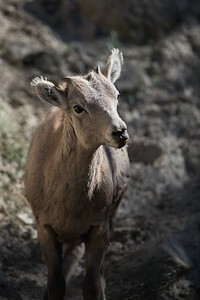 Bighorn sheep ewe drinking from spring. 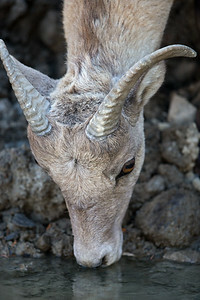 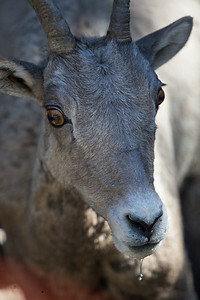 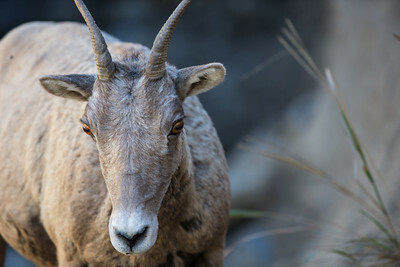 Up close image of bighorn sheep ewe. 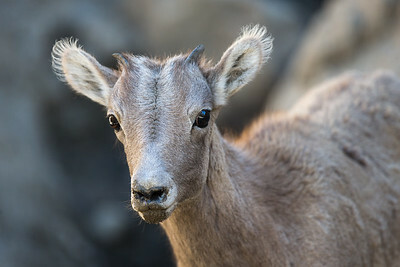 Profile of bighorn sheep ewe. 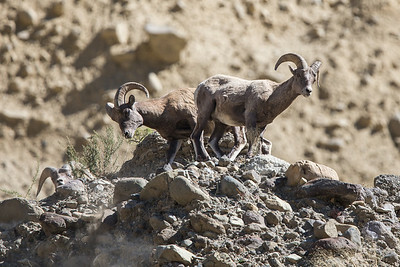 Three bighorn rams watching over their flocks. 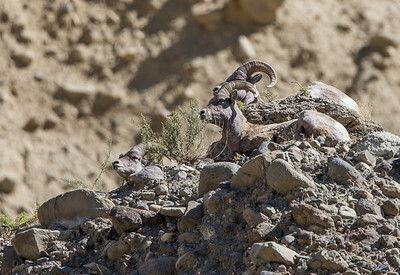 Bighorn sheep rams alerted to a danger. 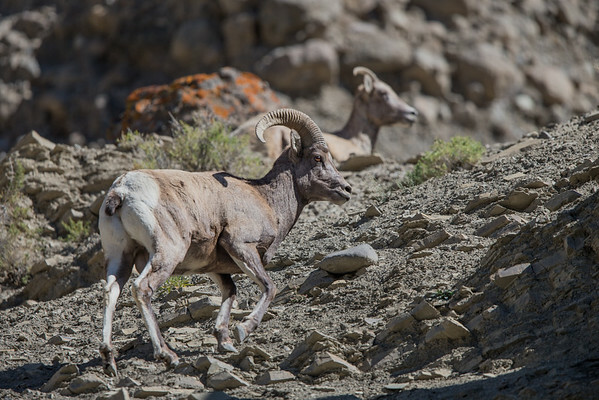 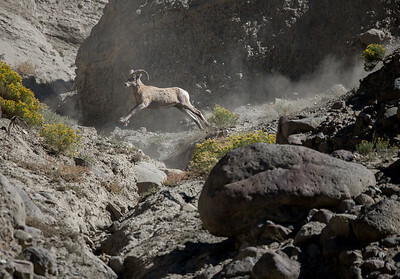 Bighorn sheep rams begin challenging each other as part of the fall rut. 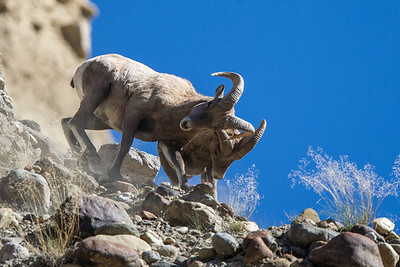 Aftermath of rutting charge between bighorn sheep rams. 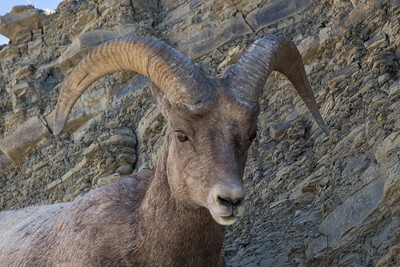 Bighorn sheep ram standing tall. 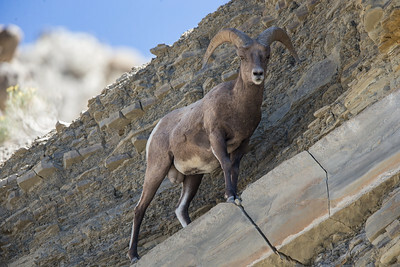 Bighorn sheep ram climbing the escarpments north of Mammoth Hot Springs. 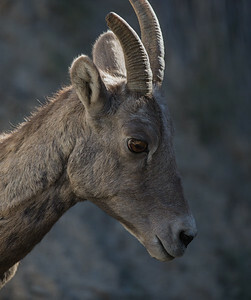 Bighorn sheep preparing to head to higher ground after drinking from spring.